Approximately five acres of unimproved land located at the end of Murrayville Road in Northern New Hanover County. Murrayville Road ends and a platted dirt road named Crooked Pine Road begins. 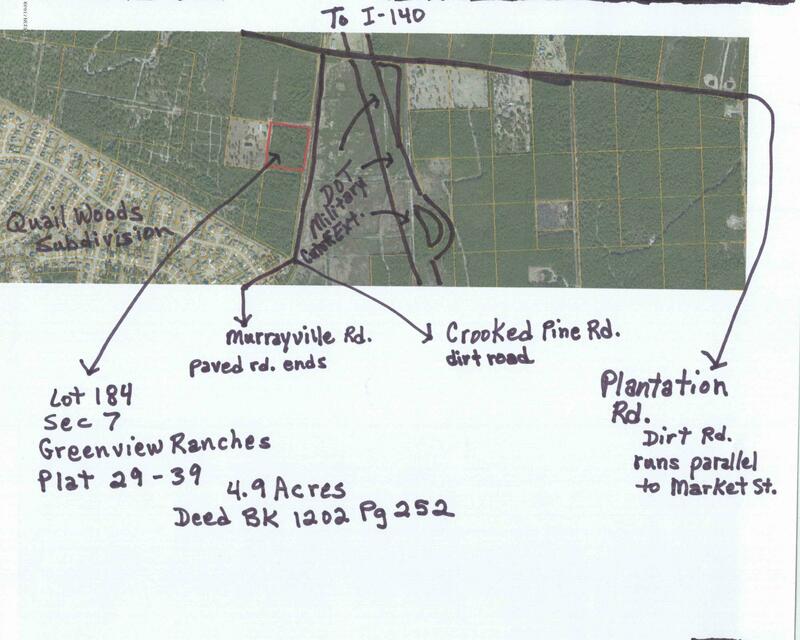 This land has 470 feet of road frontage on Crooked Pine Road. No soil test have been performed on this land. Up the road there are residences on improved lands that have utilities, wells and septic systems. This land is located behind Quail Woods Subdivision which is off Murrayville Road. DOT has acquired lands in the area for the Military Cutoff Extension. Land would make a great estate or small subdivision. Zoned R-15 Adjacent 4.87 acres for sale. Can be purchased together or separately. See MLS# 100043040.